AKIPRESS.COM - Last year, researchers working to synthesize the genome of a strain of yeast began to eye a much bigger prize: assembling from scratch the 3 billion base pairs of DNA that drive a human cell. The idea caught the attention of other prominent scientists, and inspired a proposal published online in Science today. The so-called Human Genome Project-Write (HGP-write) aims to synthesize entire genomes – of humans and other species – from their chemical components, and get them to function in living cells, reports Science Mag. The initiative generated buzz last month after an invitation-only meeting to discuss the prospect at Harvard Medical School in Boston. Its organizers aimed to keep the details under wraps until this more formal proposal was published – a move that rankled those hoping for a broader public discussion about its ethical, legal, and social implications. Some speculated that scientists would use these engineered cells to create designer humans with no genetic parents. The new proposal makes clear that HGP-write has no such aim, the authors say. The main goal instead is to drive down the cost of engineering large stretches of DNA and testing their activity in cells. “HGP-write would push current conceptual and technical limits by orders of magnitude,” the authors write. Compared with gene editing with tools such as CRISPR/Cas9, constructing a full genome could allow more widespread manipulation, Church explains. CRISPR is already being refined to make large numbers of genetic changes to cells with increasing precision, but to recode various points throughout the genome, “it might actually be lower-cost to just synthesize the whole thing,” he says. The new publication describes pilot projects that might harness large-scale synthesis for human health applications. One set of examples involves “ultrasafe” human cell lines: Cells used to secrete proteins used in drug treatments could be engineered to be resistant to viruses that might contaminate the product. Or stem cells injected into a patient as therapy might be designed so that their tumor suppressor genes are less likely to mutate and cause cancer. One possible pilot project would create human cells that can tolerate a simpler and less costly culture medium by surviving without the typical amino acids and vitamins. Another would engineer a pig genome – eliminating embedded viral genes and genes encoding molecules that are immunogenic, for example – so that researchers could grow pig organs suitable for human transplant. The paper’s 25 authors hope to launch their project this year with $100 million in funding – a figure Boeke calls “a somewhat arbitrary milestone.” At least for now, the collaborators aren’t expecting a big infusion of new federal funding. The initial sum could be pooled from existing grant funding for labs already working in genome synthesis, he says. But the mere principle of a fully synthetic human cell is problematic to some. The list of potential benefits is “not an adequate reason to take such an enormous moral step,” says Laurie Zoloth, a bioethicist at Northwestern University, Chicago, in Illinois. “I think developing the tools to make large genetic sequences is an important human goal. 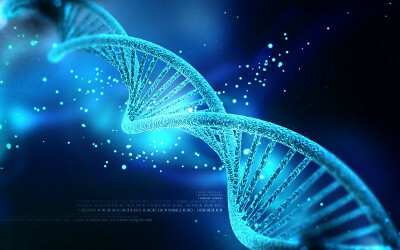 Creating an entirely new [human] genomes – that’s a different kind of a project.” Zoloth and synthetic biologist Drew Endy of Stanford University in Palo Alto, California, first drew attention to the May meeting when they published a critical response, arguing that these initial discussions should have been open to the broader public.